Get ready to hone your skills, supply your stash, and connect with other beadworkers and jewelry makers! 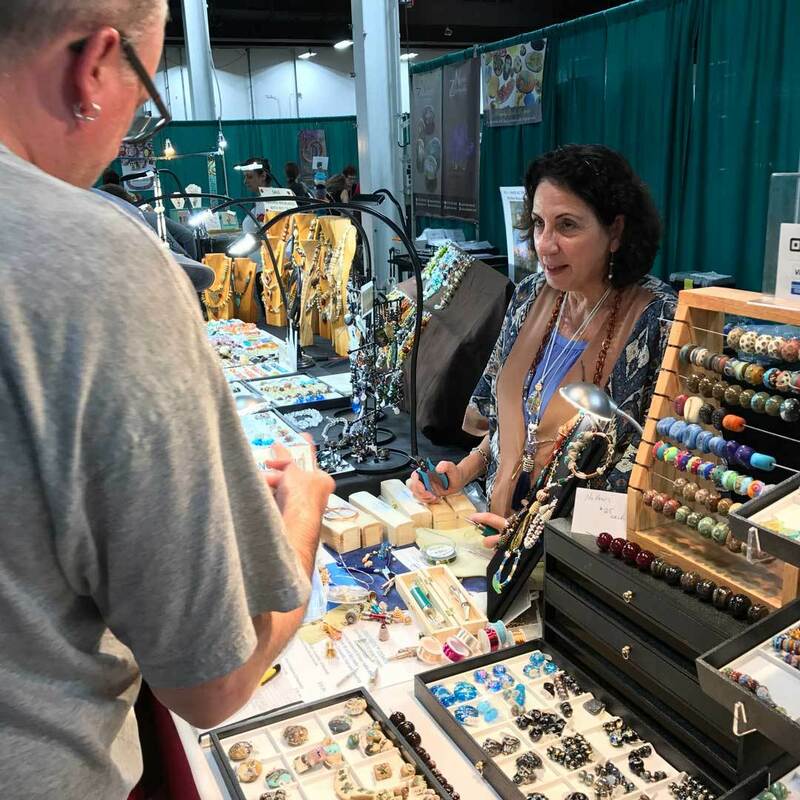 Bead Fest Philadelphia takes place August 14–18, 2019, at The Greater Philadelphia Expo Center at Oaks. Classes begin August 14, and the Expo Marketplace is open August 16–18 for some of the best shopping around. You won’t want to miss it, whether you’re making jewelry for yourself or for resale. 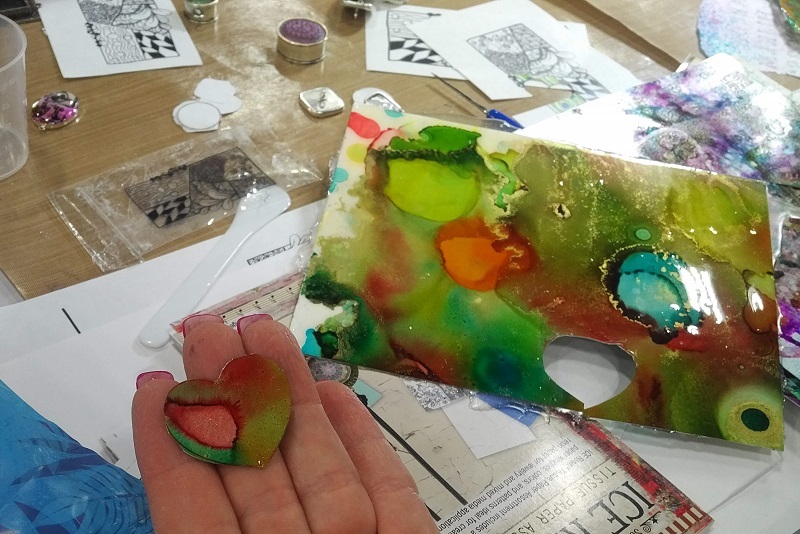 It’s a creativity workshop and giant pop-up shop all rolled into one! Luella Necklace by Kaska Firor. 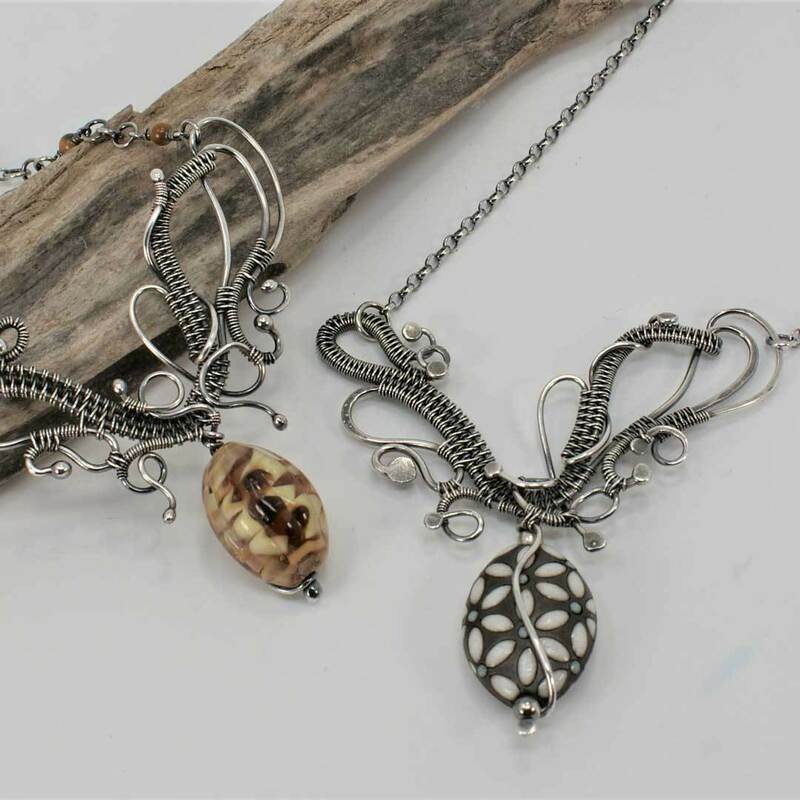 Capture the magic of freeform wire weaving while creating this elegant necklace reminiscent of Victorian style. Students will learn how to use templates to aid with shaping the large gauge base wires, several weaving techniques, secrets to keeping weaves even and consistent, and torch skills for drawing beads at the ends of wires. Industrial Beauty Bracelet by Agnieszka Watts. This unique bracelet consists of rectangular-shaped geometrical components. These double layers are connected by right-angle weave stitch on the edges. Segments are joined together with links made with an odd count peyote stitch that are flexible (they form tubes). On top of each link is a decorative motif, a round crystal enclosed in the square box, which makes us think there is square-shaped crystal inside. 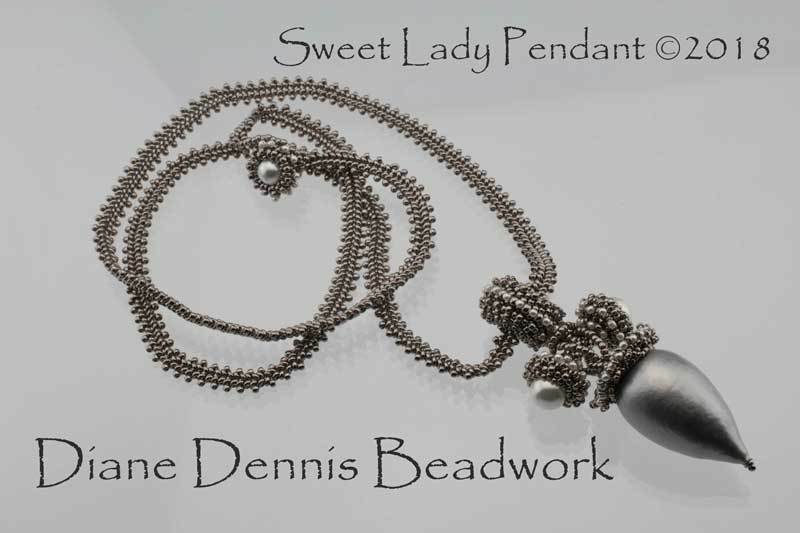 The custom-made clasp looks exactly like one of the links and hides the closure. This year, more than 35 instructors will teach classes on bead weaving, kumihimo, metal clay, polymer clay, metalsmithing, and more. There are nearly 150 classes over the course of five days, so you can learn a new skill or take your favorite technique to the next level. Plus, all students receive a free three-day Expo Marketplace general admission pass when you register for at least one three-hour or longer workshop. 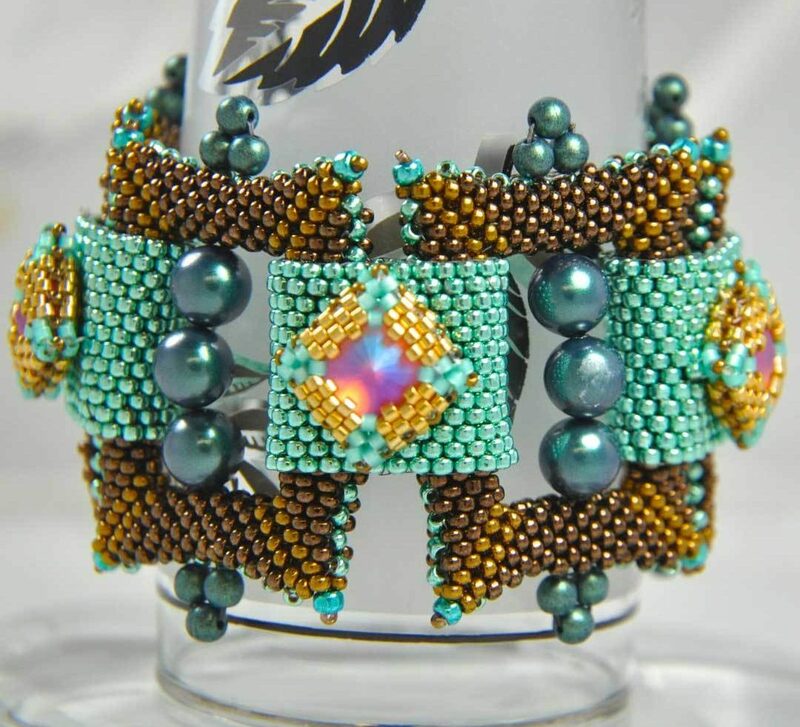 You’ve seen many of the instructors’ projects in the pages of Beadwork. Their classes present the unique opportunity to spend time with and learn alongside them. Caging Industrial by Susan Lenart Kazmer. 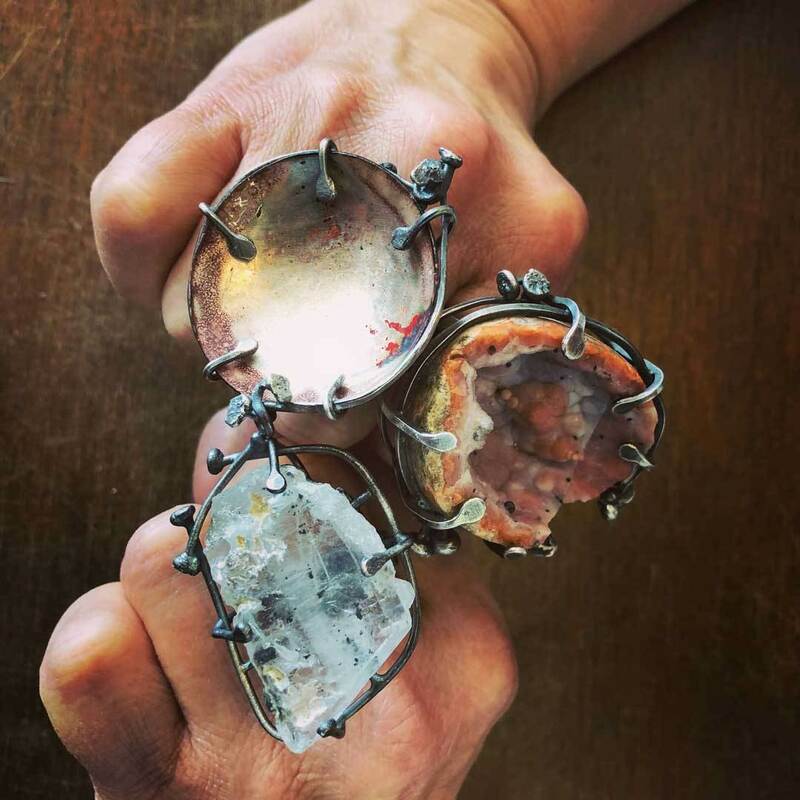 In this workshop, focus on building an uncommon and unexpected ring band in a cage-like personal style of Susan’s allowing use of negative and positive space to match the overall build of the piece. Sandra Lupo demonstrating her Conetastic on the show floor. 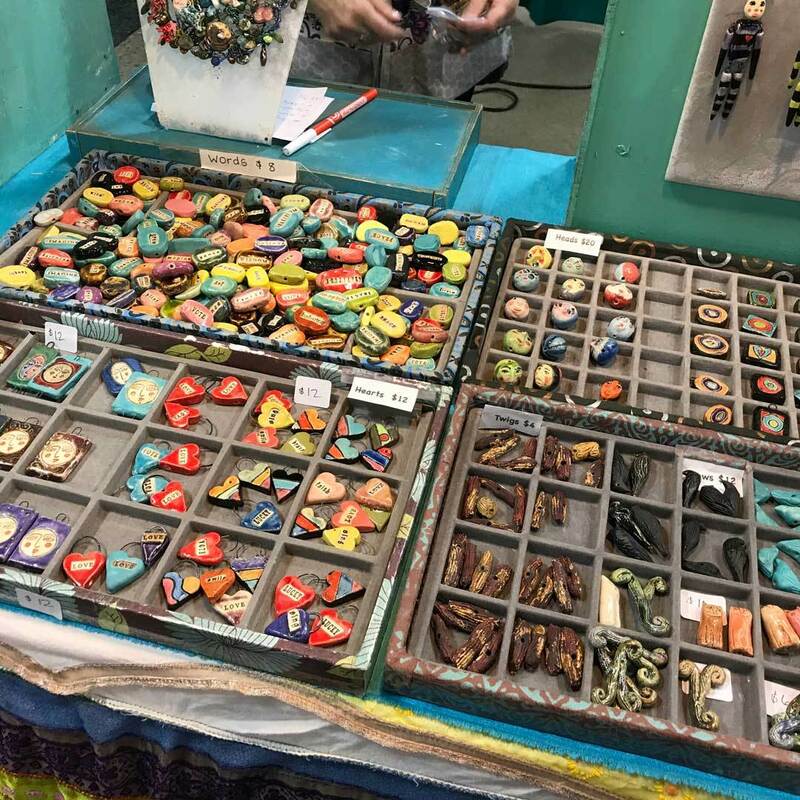 More than 200 vendors from across the country typically exhibit at Bead Fest’s Expo Marketplace. You can shop, meet the artisans and exhibitors, and connect with people who love the art and craft of making jewelry. Many vendors provide demonstrations of their products, such as new tools, or ideas for using their creations in creative ways. You’ll find everything from handmade one-of-a-kind beads and components to jewelry supplies to expand your stash. A sampling of components by Diane Hawkey. 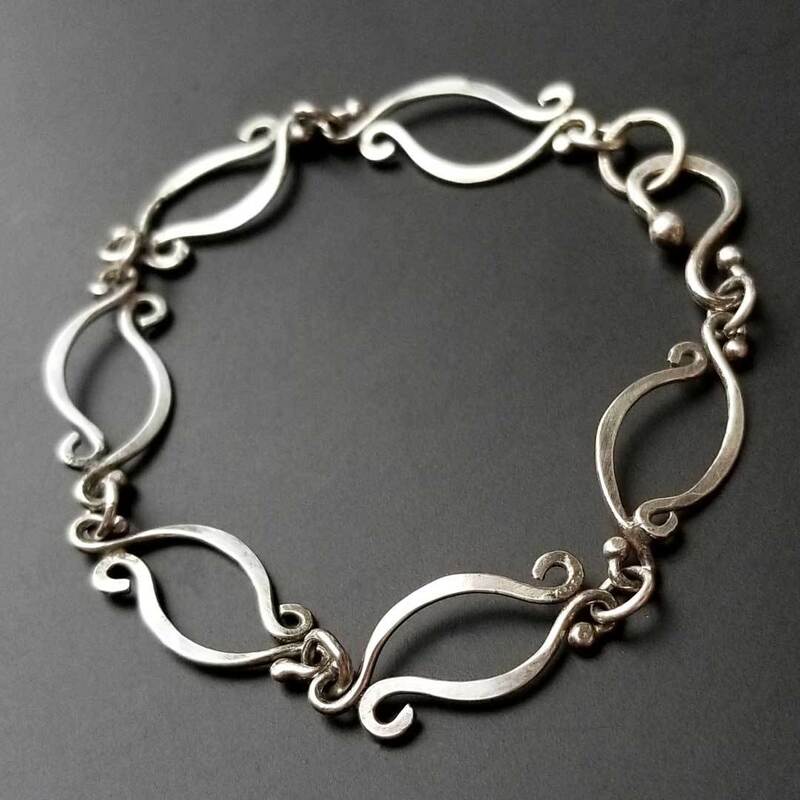 Wave Link Chain by Kieu Pham Gray. Learn the basic concepts of silver soldering while creating a Wave Link Chain. By the end of this class, you will have an understanding of necessary tools and materials to successfully solder simple joints. Students will complete a bracelet by the end of class. Plan Your Trip and Register Today! If you’re looking for a quick dose of inspiration, you’ll find it in the inexpensive, speedy Make-It Take-It projects in the Expo Marketplace. A variety of vendors will share their newest products in fun, trendy jewelry designs that you can complete on the spot. If you don’t have time for a class or can’t commit to a workshop, this alternative allows you to try a new product or technique in a more laid-back setting. Bead Fest demos: Tammy Honaman uses alcohol inks and ICE Resin from Ranger Ink in her demo. Whether you take a class, shop the Expo Marketplace, or both, there are plenty of opportunities to find inspiration at Bead Fest. If you’re traveling from afar, there are hotels and restaurants close to the event. 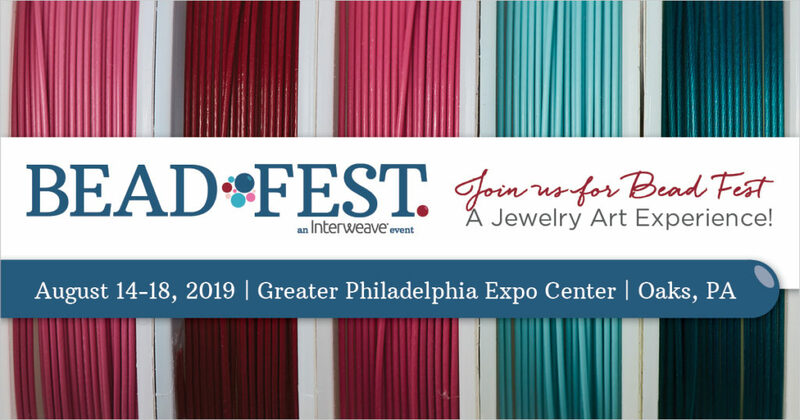 Connect with other beaders, supply your studio, and add more techniques to your skills at Bead Fest Philadelphia! Katie Hacker is Interim Managing Editor of Beadwork and the host of Beads, Baubles & Jewels on PBS. You might bump into Katie shopping the aisles at the Bead Fest Expo Marketplace. Where can I find the classes? You’d get there by mousing over Events and then Philadelphia, and Purchase Workshops will appear to the right. Hope to see you there. We have lots of great classes this year!